Redbridge Museum runs education sessions about the First World War for primary and secondary schools. The sessions use real artefacts, archives and handling resources and can be focussed on specific themes. 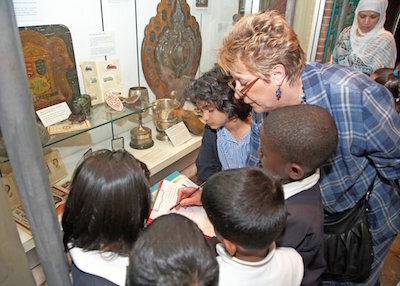 The session is part of the Museum’s programme for schools. To find out how you and your group can gain from Redbridge Museum’s education service, watch a short film. To book, contact redbridge.museum@visionrcl.org.uk or call 020 8708 2317.